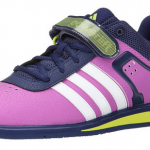 The Adidas Powerlift 3 is the latest weightlifting shoe in the Powerlift line. For those of you not familiar, this is Adidas’ mid-range shoe that performs excellently. Even when compared to the higher end shoes, they hold their own. 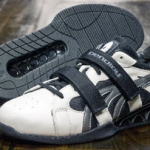 I need to preface this review by saying this: My first lifting shoe was the Original Powerlift, so I am definitely biased when it comes to these! I don’t think my trust in the brand is misplaced though because I’m not the only one who has had a great experience with them. I’m not going to cover the basics of a shoe for the gym as I have in the past, rather I want to focus on what Adidas has changed in this latest rendition of one of my favourite shoes. That said, if you’re a beginner I highly recommend these as an entry-level pair. 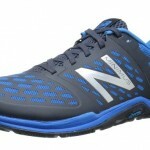 You just might be more suited to start with my beginner’s guide to good lifting shoes article if you are looking for details on the basics. 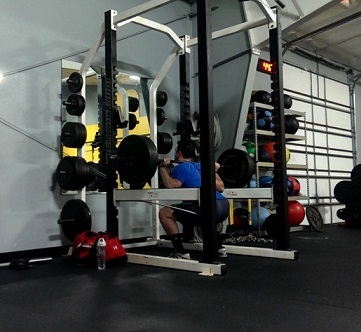 The Powerlift 2 got a facelift. That’s what it boils down to when you look at the differences. It’s interesting because the new style reminds me a LOT of how Reebok designed their CrossFit shoes. I guess it’s just the modern thing to do. But you know that’s not a knock on Adidas, because the previous model had it pretty much nailed down, so how much could they really change without calling it something different altogether? They already have the Adipower for Olympic lifting. The rest of the features are virtually the same as before, which is great for lifters of all levels that want to get a little more serious about the gym. The heel height is the same, so it’s still the great shoe for squatting and bench that it was before. I personally don’t like deadlifting in a raised heel shoe, but that’s just my preference. You definitely can do them without problems though. The fit is as good as ever. Adidas sizing is pretty true to size, but there are outliers that will have to be more careful before they order to make sure they get the right fit. I’m a big fan of the velcro strap to ensure there is no foot movement when you’re in the middle of a heavy squat. 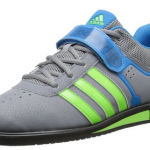 The last thing a lifting shoe should be is loose and that is not an issue with the Adidas Powerlift 3. So what does the Powerlift 3 not do? Now that I have heaped on all that praise, it’s only fair that I point out some things that are worth being aware of before you make a purchase, right? I know you probably already have them in your online shopping cart! So the first thing I want to mention is that they’re not a cross-training shoe. The sole is rigid because it is made for stability while lifting. 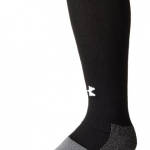 It is not flexible like a running shoe, so you would definitely want to wear a different pair to the gym or track if you plan on doing sprints or jogging. They’re fine for walking of course, but using them for much more would be uncomfortable and eventually lead to injuries. I also touched on it above, but just to be clear: they are not made for Olympic lifting. Sure, you could do some in them just fine. But if your goal is to be an Olympic lifter then there are entry level shoes like the VS Athletics that you may want to check out instead. This is because the heel height is very moderate in these and is meant for the compound lifts. I don’t even consider the above to be flawed at all. For someone considering a purchase, it’s important to know what you’re getting: a fantastic lifting shoe. That’s what they are designed for and in my opinion, excel at. That’s what makes them great. Whether you’re a complete beginner or an experienced lifter, they are a great shoe that won’t hold you back from making progress in the gym. All while looking pretty stylish in my opinion. 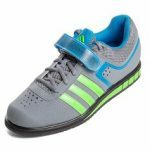 And while they aren’t the cheapest shoe out there, they are very reasonably priced compared to lifting shoes of a similar level. They will last you for years if you take care of them and hundreds of gym sessions. 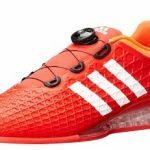 If you’re in the market for a lifting shoe, you owe it to yourself to check out the Adidas Powerlift 3.